If you’re a headteacher or school business manager for a school that wasn’t built relatively recently, you’ll have flat roofs. But why do some flat roofs leak, and can be done to prevent it? 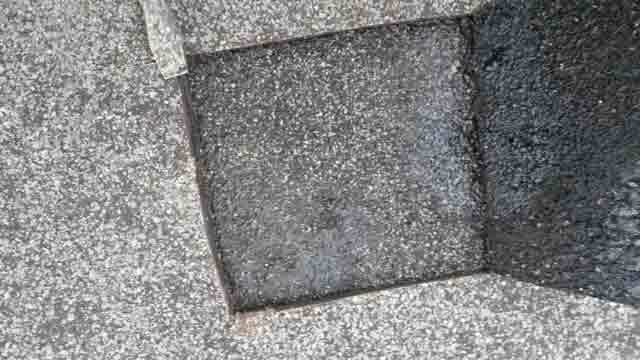 This article looks at the most common causes of flat roof failure so that you can look out for them and advises on what you can do to prevent failure in all your flat roofs. All roofing materials have a limited lifespan. However, as technology has advanced over recent decades, newer systems were introduced which have a greater longevity than systems of the past. 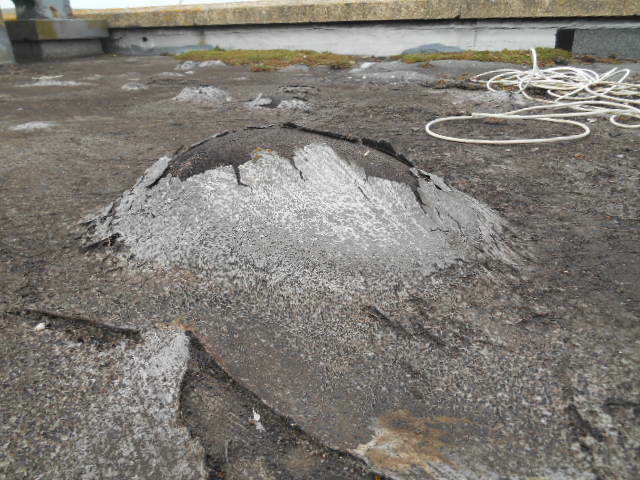 Your flat roof may simply be leaking because it has reached the end of its natural life. Then in the 1990s it became commonplace to use elastomeric membranes. These now have a life expectancy of 30 years or more – over three times longer than the 1960s membranes. 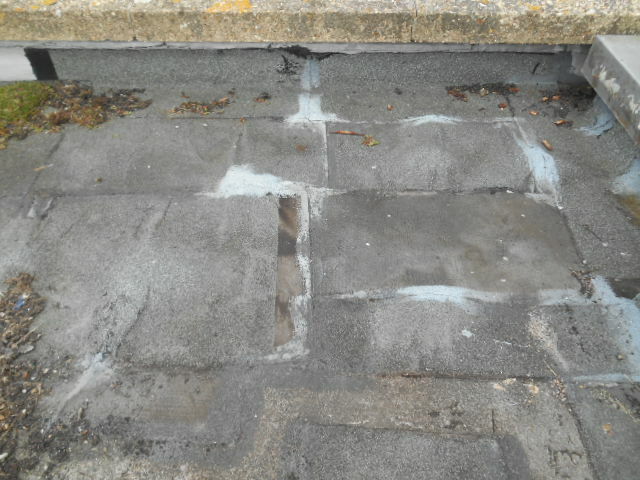 This aged roof had been repaired using additional pieces of bituminous cap sheet, and with liquid treatments. These repairs had failed, partly due to the already perilous state of the existing waterproofing. If your flat roofs were built in the 1960s or even in the 1980s, there is a very good chance that the membranes will be well past their sell by date. Hundreds of primary and secondary schools will have been built with these membranes and many will have been repaired in various ways. Why flat roofs leak: They have reached the end of their natural life. The existing asphalt waterproofing here appears to have had its working life significantly shortened by lack of care and poor design. 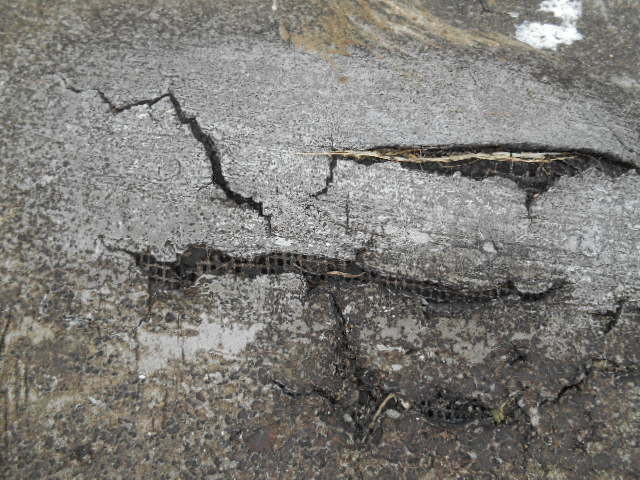 The asphalt is age hardened and brittle, and as a result thermal and structural movement have led to splits and cracks, allowing water penetration. During the latter part of the 20th century, insulation values in flat roofing have increased faster than the membrane technology, as attempts are made to reduce energy loss from buildings. As a result, simple oxidised bitumen was being used to stick membranes onto relatively highly insulated roofs. When dried, oxidised bitumen becomes rigid and is not able to expand and contract with temperature changes. Solar gain can cause the membrane to heat up, and insulation underneath can prevent heat from conducting away from the membrane. As a result oxidised membrane can crack, blister and fail, causing leaks. Newer membranes such as our SIGnature range are engineered to cope with these temperature changes in a way that traditional bituminous systems cannot. Why flat roofs leak: Traditional systems cannot cope with temperature changes like modern systems can. All buildings expand and contract due to heat, and good design will take this into account. Many traditional membrane systems were not developed to take the degree of movement that can be experienced on a flat roof. In particular if your flat roof was designed without expansion joints this could lead to the early failure of the membranes. Modern flat roofs are designed to take movement into account, but your flat roofs may not have had the benefit of decades of flat roofing development. Why flat roofs leak: Lack of expansion joints and design for movement. Large blisters appeared in this waterproofing: evidence of trapped air and moisture. There were also large areas of ponding water on this roof; in some locations there were blisters in the ponds! Blisters are generally a sign of water inside the system. If water has entered the roof structure, the higher internal temperature can turn it into water vapour which needs to escape upwards, producing pressure which causes blisters. A blister produces a weak point in the roof membrane, and the membrane may fail because it isn’t design to expand and stretch that much. The blister may also pull on nearby laps (joins) and cause them to fail. Delamination is where the membrane layers separate and there is no longer a structural connection between them (they aren’t stuck together). If there isn’t a structural connection between the layers of a bituminous membrane roof the roof can lift and fail. through water getting between the layers of membrane. Interstitial condensation can produce a ‘dew point’ between membrane layers (a point where the temperature drops sufficiently so that any water vapour will condense into liquid). Then the liquid water cannot escape and builds up causing the layers to separate. Why flat roofs leak: Delamination of the membrane. In addition to age, poor choice of materials and issues with water, poor design and poor detailing of flat roofs are major reasons why flat roofs leak. Here are some examples of poor design and detailing. Poor detailing around penetrations such as rooflights and soil vent pipes. These are weak points in a roof and need to be robustly detailed. Make sure your roof is designed by an experience roofing specialist that has their own Professional Indemnity Insurance to cover the design. Why flat roofs leak: Poor design and detailing. Finally, it is essential to remember that roof installation is a professional skill. Any system can be designed expertly; but if not correctly installed it will fail. Using qualified accredited contractors is absolutely necessary to prevent flat roof failure. Cheap labour with poor skills will make mistakes. A qualified and accredited contractor will be experienced and will also be willing to discuss any issues that with the project manager and designer rather than be tempted to find a workaround on their own. It is also important to ensure that corners are not cut when installing a roof, either for expediency or cost savings. An accredited professional contractor will not cut corners. Why flat roofs leak: Poor workmanship. Flat Roofs Leak for a number of reasons, and here are some of the most common. Many flat roofs designed and constructed towards of the end of the 20th Century will have reached the end of their natural life. It is essential that if a replacement roof is not to fail, it should be designed by an experienced roofing specialist using modern engineered materials and installed by an accredited contractor. If you’d like to discuss your school flat roofs with us, please get in touch.